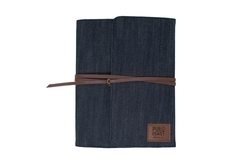 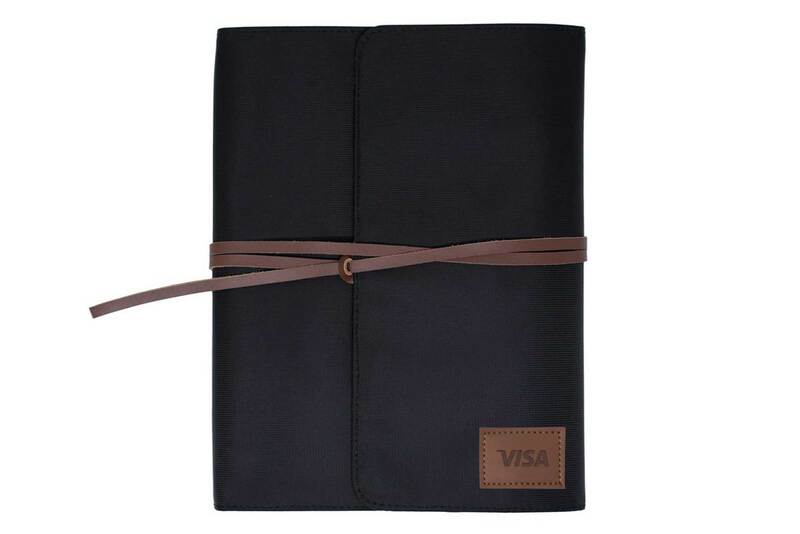 A classic and trendy style this tablet holder keeps you organized and tidy with its pockets and functional design. 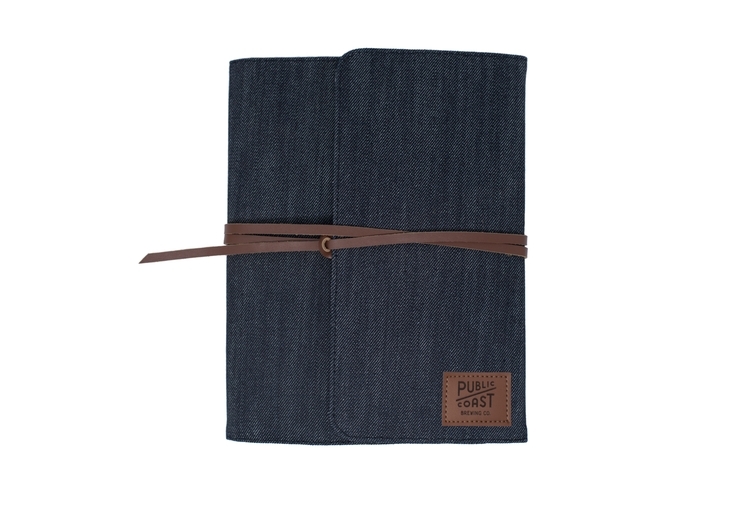 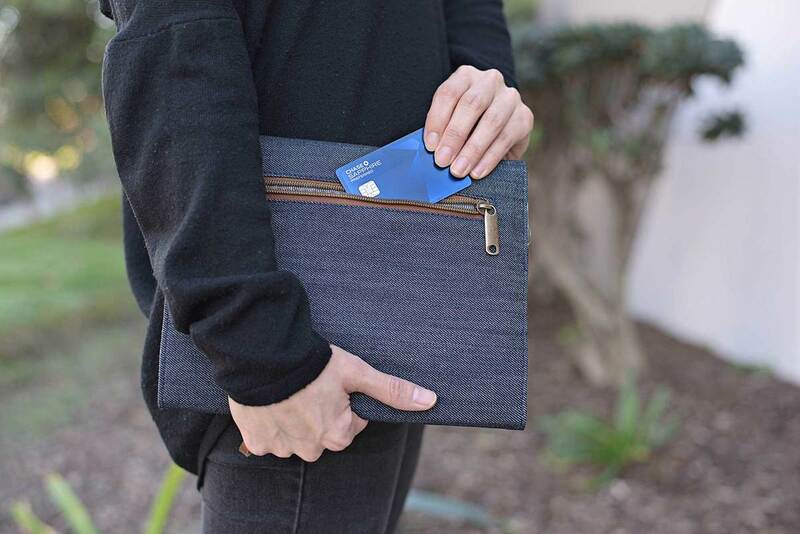 A designated padded sleeve that fits up to a 10.5 inch tablet keeps your device safe and protected while on the go. 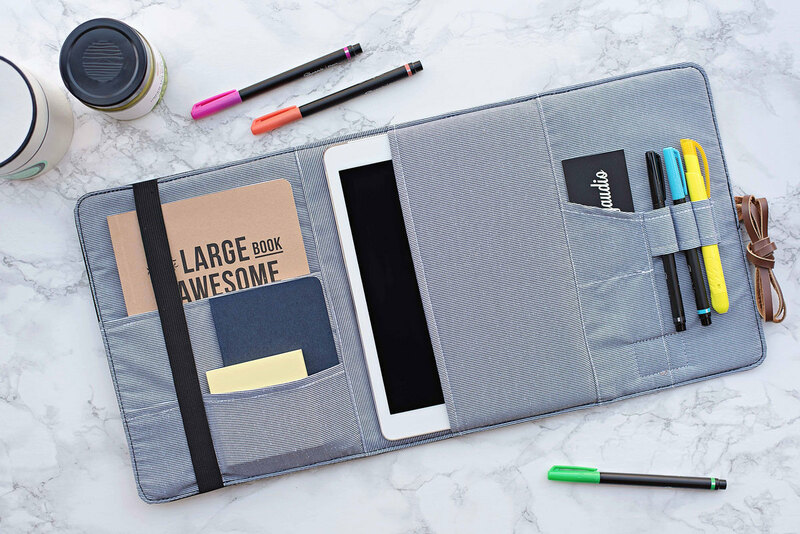 With pockets made for business cards pens charging cords and even a notebook you will have a spot for all the necessities. Jot down notes and the next great idea in the included Large Book of Awesome. 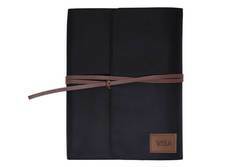 And with an exterior leather strap for reinforced closure you will feel comforted knowing your belongings are safe and secure. 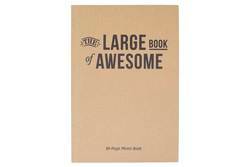 10.13" x 7.75" x 1"
Imprint Size: 1.31" x 0.75"